Wearing your politics on your sleeve — or your feet — is becoming increasingly difficult as a number of big American brands divorce themselves from Trump-style politics. As big brands back away, what's a fervent Trump supporter to wear? What if you went to an alt-right rally and had nothing to wear but a hat? 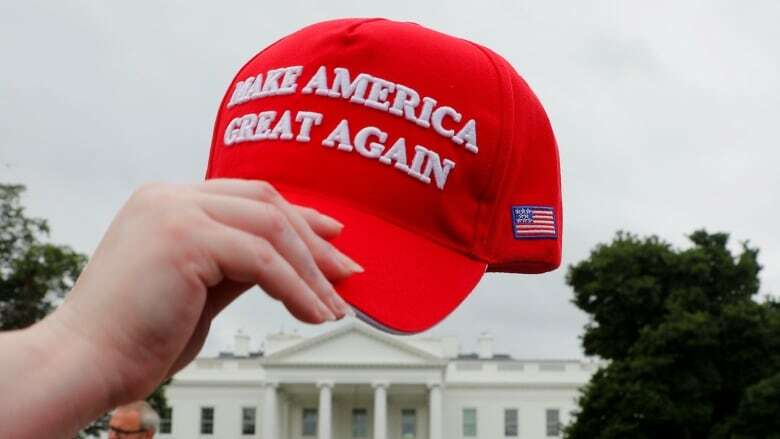 As chaos at the White House seems to be reaching a crescendo, there are signs that it's getting hard to find a brand willing to fully endorse Donald Trump's populist revolution — perhaps with the exception of Make America Great Again hats and related paraphernalia. This week, Nike took a strong position with a polarizing new ad campaign featuring Colin Kaepernick — one in which the athletic-wear giant directly snubbed Trump's clearly delineated position opposing the take-a-knee protests in the National Football League. Once a star quarterback, Kaepernick has been without a job after becoming the first NFL player to kneel during the U.S. national anthem before games in 2016 to protest racial inequality and police brutality in America. Other players followed suit, setting off a heated debate that drew calls for league boycotts, an official anthem policy review, and angry comments from the U.S. president. And this week, as a book by veteran Washington Post journalist Bob Woodward unveiled a White House struggling to cope with an "unhinged" chief executive, and a Trump administration insider expressed mutiny in a New York Times op-ed, other giant brands — including Levi Strauss and Ford — also seemingly lined up against the U.S. president and his supporters. It seemed like a pile on. Levi's, a brand redolent of the rootin-tootin', gun-slinging American Old West, has announced it is in favour of gun control, saying, "we simply cannot stand by silently," provoking horror among the pro-Trump, pro-gun lobby. All of the branding experts I spoke to this week took the cynical view that companies coming out against Trump's rhetoric are principally motivated by sales. With Trump claiming wide support for his presidency, that seems strange. But it appears coming out as openly liberal is good for business. Despite that mercenary interest, the position that brands take on political issues can be influential. Alex Marland, the Canadian author of Brand Command, a book examining the branding of political parties, says the thing that he finds fascinating is the increasing move of giant corporations into public discourse. "I mean they're sneakers," says Marland. "Why do we care about pieces of rubber we're sticking on our feet?" But then the political scientist at Memorial University of Newfoundland answers his own question. "Brands are like personalities," he says. "People form an almost humanlike connection to them." And while brands do plenty of research on the profile and views of their prospective customers, by seeking an irreverent, anti-establishment tone they hope will be appealing, brands can actually influence customers. And in doing so, brands become part of social decision-making. "Being beige can be the kiss of death," says brand expert Jane-Michele Clark, author of a forthcoming book on branding, titled Point of Distinction. Bland brands fade away, says Clark, who teaches at York University's Schulich School of Business. Not only that, but for so many products seeking popularity, young and hip is the image they want to embody. Perhaps even more important is the fear that by allowing their brands to become aligned with unpopular images, customers will be scared away in future. It appears that "Brand America" is beginning to think that way about Trump, and, as Clark says, brands simply cannot switch sides when the public mood shifts. "In extreme cases, aligning with the wrong causes can kill a company," she says. "The target demographic group is younger, urban and definitely liberal." Repeatedly, when radical groups — white nationalists, for example — have adopted a product, the brand has been quick to distance itself. 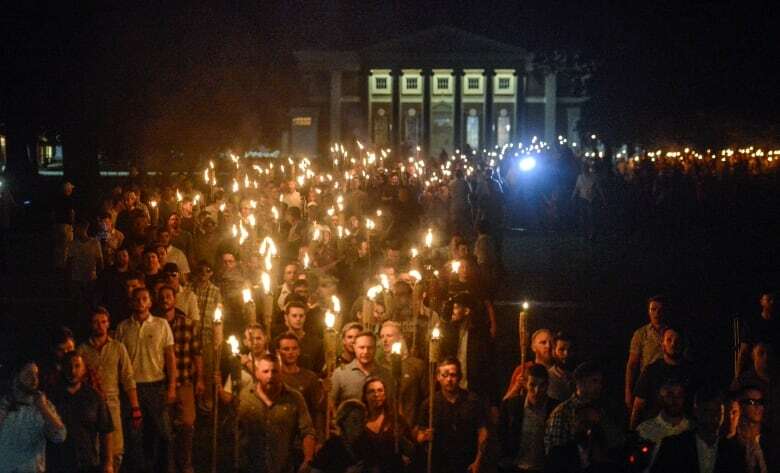 When Tiki-Brand garden torches were used to illuminate a nighttime "Unite the Right" march in Charlottesville, Va., last year, the parent company spoke out swiftly. "We do not support their message or the use of our products in this way," said a statement by Lamplight Farms. "Tiki Brand products are to be enjoyed by friends and family outdoors in a loving environment." And here in Canada, after a gathering of the Proud Boys wore black Fred Perry shirts to an Indigenous protest, the company's British boss spoke out on the CBC's As It Happens, divorcing his brand from the group. The logic is clear. A brand like Fred Perry or Tiki Torch may get a few more sales from alt-right supporters. But such an association could scare off a vastly larger customer base of people who would reject the brand for fear it would silently label them as holding unpopular views. Humorously, the very issue arose when I called Mike Cappello, the University of Regina professor who received threats earlier this year before a speech titled "It's Okay to be (Against) White(ness)," at Trent University in Peterborough, Ont. When I asked about the association between British skinheads and Dr. Martens boots, Cappello offered an embarrassed laugh; he happened to be wearing Doc Martens as we spoke. 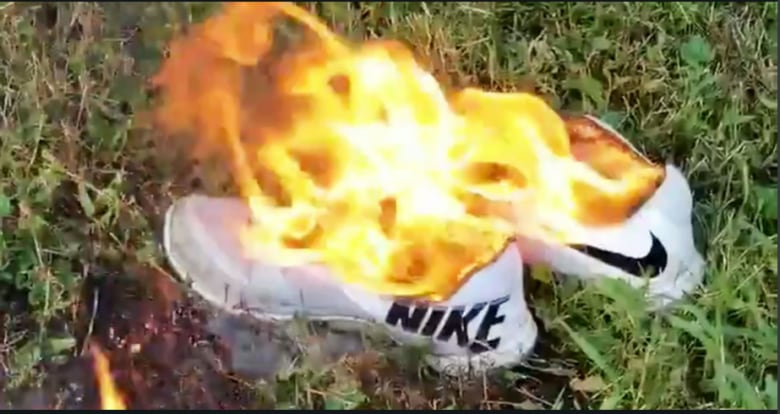 Part of the motivation for Nike's move may be the growing realization, especially by younger people, that racism is alive and well in both Canada and the U.S., says Cappello. And, he says, even though they are acting out of self interest, brands can help build a better future. "It's hard to suggest that things that Colin Kaepernick and a number of his colleagues are standing for aren't really important things to stand for."